If in a few years time you’re asked to recall what major events happened in 2013, what will you say? That our future king was born? That the Pope quit? That Miley Cyrus became a full time hoochie? NO, you won’t say any of these things unless your priorities are completely out of whack. You will instead say that 2013 was the year of the denim revolution. This summer, we saw denim enter our lives in ways which we might not have expected. I for one had a lifelong hope that denim skirts would NEVER make a comeback after the god-awful denim mini skirts of the early 00s (I think my sister actually had one with some sort of jewels on, though I’m hoping that was just a nightmare I had). But lo and behold, there I was in 2013 handing my money over to the fine people of Topshop in exchange for a denim skater skirt which I absolutely loved. Then when the 90s trend came along, dungarees came with it. Once again, I was left gobsmacked by the fact that people actually looked decent in them and not just like they were performing in a Dexy’s Midnight Runners tribute act, about to burst into a rousing chorus of ‘Come On Eileen’. Certainly, it was an exciting season for denim. 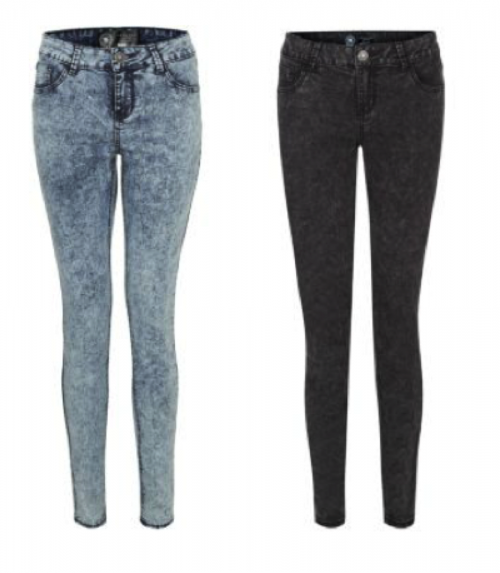 As we head into Autumn/Winter, our legs become chilly and thoughts inevitably start to turn to jeans. There was definitely a worry that the humble jeans could end up losing popularity now that we’ve experienced what life is like with their funkier denim cousins (if you didn’t have this worry then, again, you need to think about your priorities). Thankfully though, new Autumn/Winter denim ranges are starting to be released and BY JOVE, THEY’RE FUN. New Look are one store who have just launched their new denim campaign. While they still have a range of denim shorts, jackets, dungarees and skirts to swoon over, it’s the jeans that have attracted my attention. In terms of fit and shape, there isn’t really anything revolutionary to report. 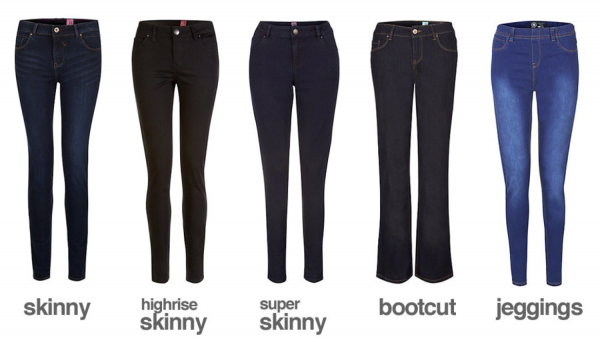 The skinny jean is still king of all it surveys, with three variations hitting stores: the skinny, the highrise skinny and the super skinny. For those who like the skinny look but also want to feel like they can chow down on as many biscuits as they like (i.e. ME), jeggings are also featured strongly in the new campaign. And for those who just can’t get on with skinny denim, there’s the classic bootcut. What’s really interesting about the new range, though, is what’s being done with texture and pattern. Coloured jeans seem to have taken a bit of a back seat this season. While there are still burgundy and electric blue hues around, pastels are firmly out (so sorry, lavender jeans, away you go). Instead it’s all about the finish of the jeans. Acid wash remains huge, but the new big cheese on the block (let’s all pretend that’s a real phrase please) is coated jeans. 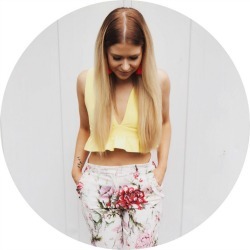 If you’re not quite brave enough for full leather trousers or disco pants, then coated jeans are the much more wearable take on the trend, and can be dressed up or down for effortless style. As always, I’m SUPER impressed with New Look’s latest denim offerings. With leg lengths ranging from 28″-34″, they cater to all different shapes and sizes – even us teeny tiny hobbit girls. For a full look at their Autumm/Winter denim campaign, have a look at NL Daily. What do you all think of the latest season’s denim trends? 48 Hours in Denim with George Outfits of the Day: Double Denim & Summer Pastels Primark Autumn/Winter 2013 Collection: Best and Worst Double Denim: Do You Dare? Previous Article Going from Brown to Blonde at Home: Colour B4 Review. Next Article Manuka Doctor: Apinourish Introductory Kit Review. Its so true, I’ve been loving Denim pinafores,dungarees, high waisted jeans, mom jeans, never realized how much denim I’ve worn this year!